South Tyneside Council has been accused of trying to hide its full financial obligations to a school built with millions of pounds of long-term loans and whose closure could be confirmed tomorrow. Local businesman Colin Campbell claims the council has deliberately hindered his attempts to uncover how much it will owe on the building and upkeep of South Shields School – a claim it denies. The council’s Cabinet committee is expected to vote tomorrow on whether or not to permanently shut down the Nevinson Avenue secondary school, which opened in September 2011 in a £24m Private Finance Initiative (PFI) deal - a contract that obliges the council to pay towards its upkeep until 2036 – even if its classrooms are empty. The school, which has a capacity of 850 but only 550 pupils, was hit with an ‘inadequate’ Ofsted rating. Despite improving standards and public consultation - it could close in the summer of 2020 after failing to find a sponsor willing to take over its running. 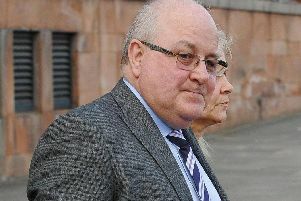 Mr Campbell, of Cleadon Meadows, Cleadon, submitted a Freedom of Information (FoI) request to the council in December. He asked for fine print details about the PFI contract, including any potential loss to taxpayers and which body is responsible for payments. He said: “I asked questions but, unfortunately, the tone of the reply was one of obfuscation and lots of non-answers. “The council should be open about what is happening with this school. Sadly, it is likely to become a white elephant. “From what I can gather, the cost to council tax payers will be £650,000 a year until 2036. That £11m represents a lot of council jobs and social care provision. All money down the drain. South Tyneside Council said it had followed national guidance around FoIs which determines what information can be disclosed. A spokeswoman added: “We have engaged parents and other interested members of our community through the statutory representation process. “This has allowed all interested parties to have their voice heard through the appropriate channels. “The cabinet paper responds to all those who gave us their views on the proposal as part of the statutory consultation process.